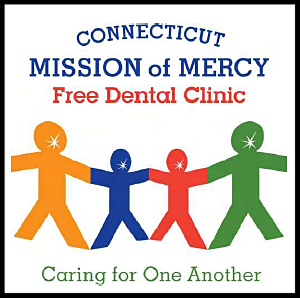 Connecticut Mission of Mercy, often referred to as CTMOM, is a free two-day dental clinic that provides free dental care to underserved and uninsured Connecticut residents. This year CTMOM will be held at Torrington High School on April 20 & 21.Torrington High School is located at 50 Major Besse Drive, Torrington, CT 06790. Clinic doors will open at 8:00 AM on both days. Going without dental care is detrimental to oral and overall health and can result in gum disease and increase your risk of serious health problems such as heart attack and stroke.The Connecticut Foundation for Dental Outreach (CDFO) in collaboration with the Connecticut State Dental Association (CSDA) began offering free dental care through the Mission of Mercy project in 2008. To learn more and for information on how to volunteer or donate to this important event visit http://www.cfdo.org/ctmom.html.